Have a straggling Secret Santa without a gift? Don't want to show up at a holiday party empty-handed? These are great books for anyone on your list! 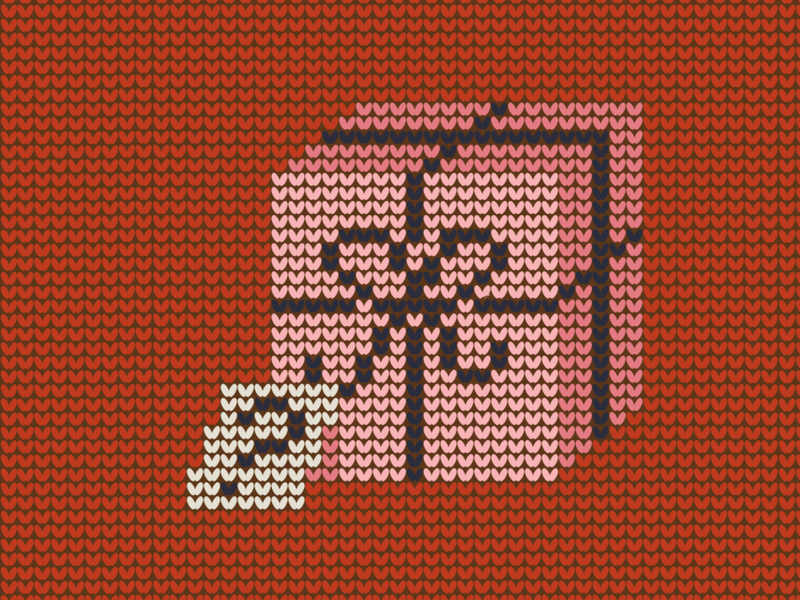 Every December, Icelanders celebrate the holidays—and their love of books—with a “book flood.” This year, we’re bringing Jólabókaflóð to American living rooms with our favorite literary gifts! Many of the well-intentioned sayings associated with book-gifting—you’re giving someone the world, you’re offering the possibility of a whole new life, you’re telling them who you are or who you know them to be—are rather terrifying. Who wouldn’t lunge for a gift card or a basket of smoked sausage in the face of that kind of pressure? Take a deep breath, step away from the sausage, and consider the crowd-pleasers here. In the confluence of genres here, we’re confident you’ll recognize a match for the trickiest recipient you know. Rely on these excellent ideas when you need a present for someone—that office Secret Santa, the neighborhood White Elephant swap, a last-minute hostess gift. These are great books for anyone on your list! New York Times cooking columnist Melissa Clark is no flash in the pan: She’s collaborated with everyone from Daniel Boulud to former White House pastry chef Bill Yosses, won a James Beard Foundation award, judged contestants on Iron Chef America, and written a staggering 38 cookbooks. Her latest is a paean to the elegant simplicity of the Instant Pot, that handy-dandy, set-it-and-forget-it electric pressure-cooker-slow-cooker-rice-cooker-yogurt-maker that’s taken social media by storm. All those hyphens (and her serious chops) add up to 75 flawless recipes for home cooks who crave osso buco and lemon verbena crème brûlée sans years in culinary school or a three-figure restaurant bill. This assemblage is as flexible as the gadget that inspired it: Clark dishes out paleo, vegan, vegetarian, and gluten-free game plans. This beautifully-curated collection is the hardcover equivalent of a bookstore cat. Its meditations on the peerless pleasures of bibliophilia—by essayist Maura Kelly, The Happiness Project’s Gretchen Rubin, and novelist (and Parnassus Books co-owner) Ann Patchett—slink through poems, quotations, illustrations, and aphorisms like a sun-warmed tabby whose highest priorities are inhaling the scent of well-loved old novels and curling up on a stack of signed first editions. In an age when most of our information comes in electronic ones and zeroes, who can resist an unabashedly old-school meditation on the joy of cracking open a volume of dreams? 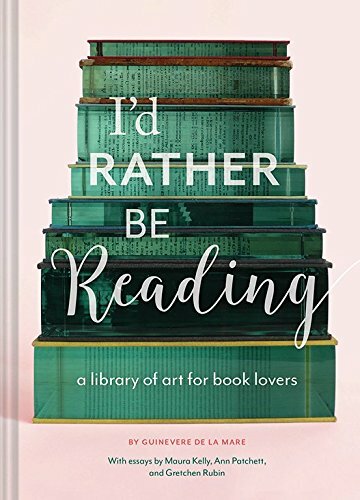 As Thomas Carlyle put it, “Of all the things which man can do or make here below, by far the most momentous, wonderful, and worthy are the things we call books.” This book, with its small, giftable size, will make the perfect present for any literature lover. In a rather nasty version of the future, Outer Limits Excursions offers thrills for adrenaline junkies “with more money than sense.” The earth is crawling with deadly disease-bearing bugs, and venturing past the titular “salt line” and out of the ho-hum safety of the Atlantic Zone is both fantastically foolish and, for some, irresistible. A tour group including a pop star and his girlfriend, a Mark-Zuckerberg-esque tech darling, and a mobster’s wife aim to get their kicks among the ticks and—no spoiler alert needed—things go horribly wrong. 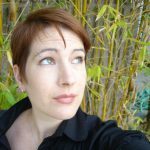 Holly Goddard Jones conceived her tale of terror as “a thirty-page one-off” on especially-squicky parasite removal, but society’s all-too-real technological, environmental, and political anxieties burrowed their way into the story and kept on going. Adventurers beware: The Salt Line gets under your skin and stays there. Charles Dickens had more in common with Bob Cratchit than with Ebenezer Scrooge when he cranked out a holiday-themed novella at the end of 1843. Writing Martin Chuzzlewit had exhausted him (and brought him rather less fame and fortune than he’d hoped), rheumatism cramped him, he had a growing family to support—and his publisher rejected A Christmas Carol. Then came the miracle: He decided to publish the story itself, rushed it into production in time to go on sale December 19th…and sold all six thousand copies in just a few days. The Man Who Invented Christmas follows Dickens as he breathes life into Victorian Christmas tradition, and as the remarkable popularity of his instant classic breathes life back into him. This edition features the full text of A Christmas Carol as well as art from the filmic version of the story, which hits theaters (with Dan Stevens as Dickens, Christopher Plummer as Ebenezer Scrooge, and Jonathan Pryce as Dickens’s father) on November 22nd. Magic and realism intermingle to devastating effect in the story of Saeed and Nadia, a young man and woman who meet and fall in love in an unnamed country that is collapsing around them. A way out appears quite literally in the form of mysterious doors that open in one place and deposit travelers in another; for a staggering fee, the couple is able to purchase safe passage through one of them. They are safe, perhaps, but they are certainly no longer home, and as other portals begin to reshuffle societies all over the world, the fabric of their relationship and of what it means to call a place your own begins to strain. “People are going to move in vast numbers in the coming decades and centuries,” Hamid—who has made his own home in Pakistan, the United States, and England—told Lit Hub. “Sea levels will rise, weather patterns will change, and billions will move. We need to figure out how to build a vision for this coming reality that isn’t a disaster, that is humane and even inspiring.” His novel, which “feels instantly canonical,” as Jia Tolentino put it in The New Yorker, poses heartbreaking questions in quietly elegant ways. Being casually conversant in everything from quantum mechanics to the nature of dark matter sounds divine, but who has the time to snag a bachelor’s degree in physics, a master’s in astronomy, and a master’s and PhD in astrophysics, then helm the Hayden Planetarium and function unofficially as social media’s best-known scientist (with nearly nine and a half million Twitter followers)? That would be The Notorious NdGT, who’s also written or edited more than a dozen books demystifying the rather heavy subjects he loves so well. 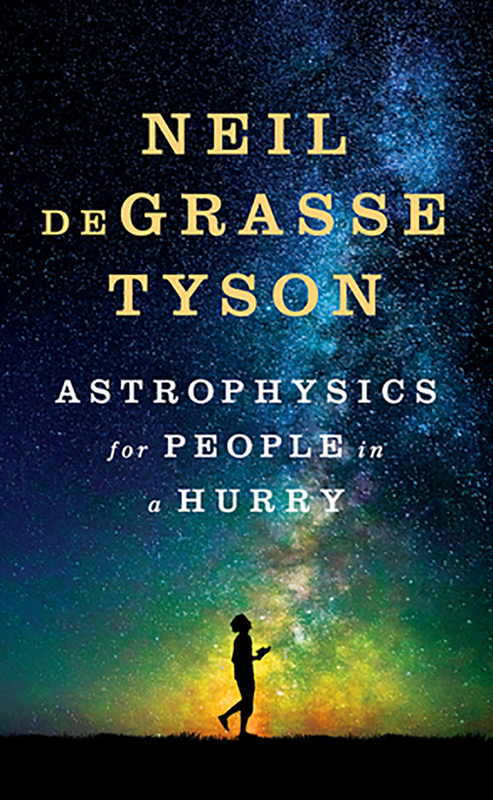 His latest is an unabashedly joyous and compulsively readable crash course on the essential universe, perfect for people who want quick sips of science standing in line for a latté or to tumble through witty meditations on black holes while waiting for a load of laundry to dry. Astrophysics as honest-to-goodness pleasure reading: Now there’s a scientific breakthrough. Gray wolves in the greater Yellowstone ecosystem were hunted to the point of eradication in the 1920s, and 70 years later, the park’s delicate balance of flora and fauna was dangerously askew: A too-successful elk population was decimating the willow, aspen, and cottonwood that other species like beavers, songbirds, and even fish needed to flourish. In 1995, eight gray wolves from Canada’s Jasper National Park were relocated to form Yellowstone’s first new pack: “It [was] like kicking a pebble down a mountain slope where conditions were just right that a falling pebble could trigger an avalanche of change,” as a biologist in charge of the Yellowstone Wolf Project put it. Nate Blakeslee puts a canine face on the dramatic changes at Yellowstone with O-Six, an alpha female descendent of those Canadian wolves who became a star with nature-lovers around the world. The intimate story of her rise and reign as a mother and pack leader—and the challenges she faced from elk hunters, cattle ranchers, and other wolves in the park’s Lamar Valley—spins into a gripping, multigenerational saga befitting Yellowstone’s royal family. Bestselling and influential happiness expert Gretchen Rubin (her juggernaut The Happiness Project has spawned calendars, journals, coloring books, a podcast, and even an app) has been researching and writing about habits and human nature for years. As she puzzled over why it is that we do what we do, she found a pattern: As she told Forbes, “finally I realized the crucial question is: How do you respond to expectations?” The way we react to outer expectations (like a doctor’s appointment) and inner expectations (like sticking to a diet) lands us in one of four personality types she identifies as “Upholders,” “Questioners,” “Obligers,” and “Rebels”—and understanding your type is the key to a happier, healthier, and more productive life at work and at home. Rubin’s clearly on to something: Nearly a million people have taken her online quiz to determine their type, The Four Tendencies is selling like hotcakes, and researchers, self-help gurus, and bloggers alike are heaping praise on her brainy, cheeky brand of self-help. Superstar London-based chef Yotam Ottolenghi and his longtime pastry pro, Helen Goh, serve up a one-two punch of simplification and innovation in this latest addition to the Ottolenghi library. Ottolenghi and Goh are generous with both adaptation and expertise in their recipes: “The only adaptations we did were in terms of making sure that people could actually make this,” he has said. “So if there’s an ingredient that’s only available in a commercial kitchen, then we had to offer alternatives.” In other words, there are no Pinterest fails here—when these authors promise you can make the book’s showstopping lemon and blackcurrant stripe cake (with layers that look vertical rather than horizontal when you cut it), they aren’t fooling around. Expect tried-and-true tastiness and the Ottolenghi x-factor: “It’s about adding something that would not be predictable, unpredictable in the flavors, in the texture, or in the layering of the cake or whatever it is that we’re making. It’s been an Ottolenghi trademark to add a little surprise.” Gentlemen (and ladies), start your ovens.